Wellington is no longer what it used to be. Like it or not, we are growing. We are building homes and parks. We are seeing new businesses come to town. We are meeting new neighbors and making new friends. We are embarking on a new journey as a community. So, why not journey together? 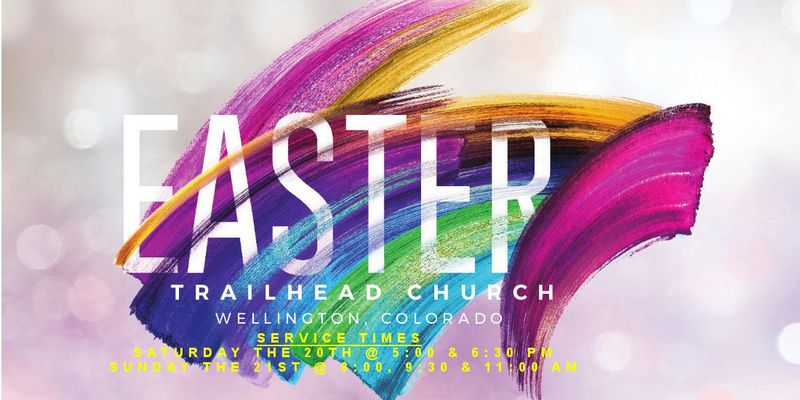 Join us this Easter at one of the five service times - Saturday at 5:00pm or 6:30pm - or - Sunday at 8:00, 9:30 or 11:00am. We hope to see you there! WE BELIEVE THAT THERE IS NOTHING IN THE WORLD THAT MAKES LIFE BETTER THAN A TRUE RELATIONSHIP WITH GOD. THE BIBLE SAYS GOD WANTS A RELATIONSHIP WITH YOU. HE LOVES YOU MORE THAN YOU CAN IMAGINE. Our leadership team is made up of people from various backgrounds and Christian denominations. While we are trained and equipped to serve the church well, we are really not much different than everyone else in Wellington. We want the best for this town and we want the best for you and your family! Give to people out of love, even if they don't deserve it. That's the way Jesus treats us and it's the way we want to relate to the world around us. Kick instant gratification to the curb because you deserve better. Jesus gave the church one primary command...make disciples. As it relates to making disciples, we always want to plan for more.